A nice and well rested sleep is very important to restore our body and brain. Sleeping well is associated with a better mood, temperament, physical performance, and a positive attitude. Sleep is essential for our brain, since during that time it consolidates and organizes the day’s events. Similarly, getting enough sleep allows us to wake up feeling refreshed and full of energy. If sleep is extremely important for adults, you can imagine how important it is for babies that are still growing! Sleeping is essential for children. It is a key aspect in the development of their central nervous system, their brains require it to develop properly, and their bodies to grow. When a baby sleeps, he saves energy, allowing him to gain weight and grow. 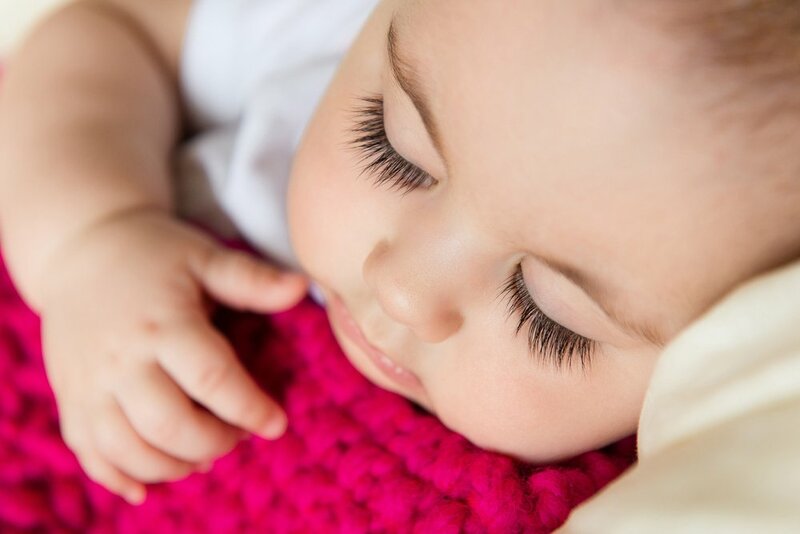 Sleep allows little ones to wake up ready to explore their surroundings with enough energy to start moving around, walk, and learn about the world that surround them. At this age, children should continue taking a nap during the day. According to the National Sleep Foundation, the ideal sleeping range for children that are 13-16 months old is between 11 and 14 hours a day. Some kids sleep more or less, however, experts don’t recommend children to sleep above or below a 9-16 hour range. If you think your child is sleeping more than needed, you can try shortening his naps to ensure that he receives enough stimulation during the day. On the other hand, if your little one sleeps less, try to strengthen his sleep routines. Sleeping is essential, as it helps strengthen your child’s immune system. Plus, he will be in a better mood during the day and will be more receptive to learning language, physical, and cognitive skills. Also, while sleeping, your little one will be reinforcing what he learned during the day.